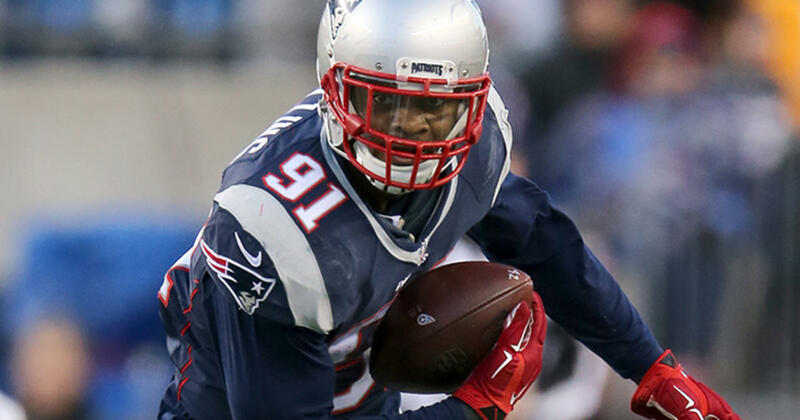 Ex-New England Patriots linebacker Jamie Collins may not be exactly thrilled about being traded away from a Super Bowl frontrunner, but he is happy to get a fresh start and is ready to do whatever is asked of him to help his new teammates succeed. Collins was dealt away Monday in a trade that shocked the NFL world. On Wednesday, the highly-skilled linebacker spoke candidly about joining the Browns, making it clear that he's moved on from his former employer. "This is my new home. This is my focus. I’m ready,” Collins said, via Cleveland.com. Collins continued on, taking a page out of Bill Belichick's book. He said he is looking forward to doing his job in Cleveland. “I ain’t got no problems with coming here and doing what I got to do," Collins said. "I’m a player and I’m a grown man. I know my job and that’s to do what I got to do. I’m going to come in here and do what’s best for the team." When asked about the unexpected move to the Browns after eight games this season, Collins said he is not rattled and feels "good" about the situation. With rumors swirling as to why Belichick traded away what many considered to be a defensive centerpiece, Collins was asked if he was seeking "Von Miller money." "I know Von Miller money didn’t come out of my mouth. I’m not Von Miller. Let’s have some common sense," Collins said. In 50 career games with the Patriots, Collins tallied 180 tackles, 10.5 sacks, five interceptions and scored one touchdown.